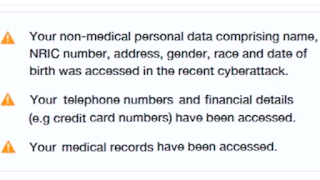 Fake SMSes have emerged, claiming that phone numbers, financial details and medical records had been accessed, following news of the data breach on Friday (Jul 20). In a Facebook post late on Friday night, SingHealth said: "We have been made aware that some people have received the fake text (SMS) message below. Please note that this is NOT from SingHealth." 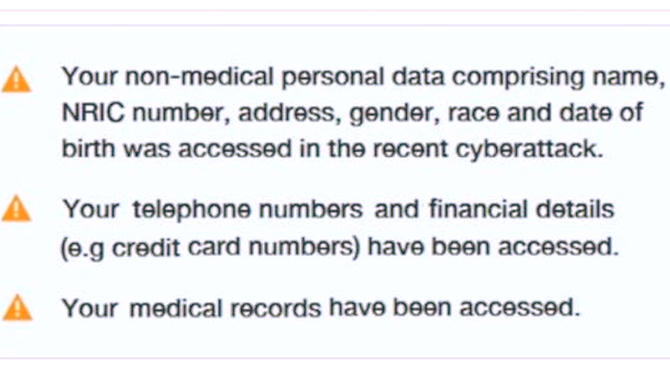 "Please be assured that NO phone number, financial information or other patient medical records have been illegally accessed," it added. SingHealth had also said that it would be notifying affected patients over the next five days via text message.